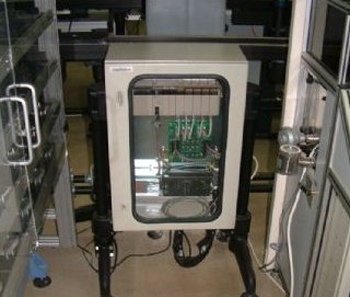 Intelitek’s Computer Integrated Manufacturing (CIM) system has several key components: an automated storage and retrieval system (ASRS), at least one automated workstation such as CNC machining, a continuous-loop conveyor, a central management control station, a TCP/IP communication network, and OpenCIM software. This turnkey automated welding station gives students training and skills in production welding methods, robotic programming and control. 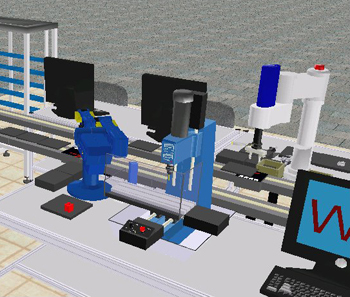 Using RoboCell software students safely perform entire welding processes in 3D simulation before executing actual automated welding applications. The ASRS storage station is a floor-mounted or a table top automated storage and retrieval (ASRS) system designed for educational use. 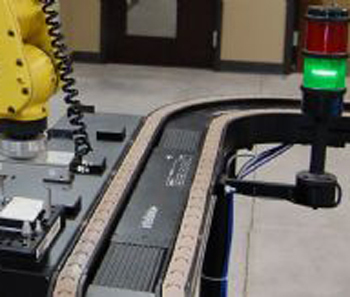 The system’s dedicated Cartesian robot transfers parts between storage cells and conveyor pallets stopped at the ASRS station. The robot is controlled by Controller-USB and by a dedicated ASRS software module in the OpenCIM software. An optional hand-held teach pendant can also be used for direct control of the ASRS. The conveyor frame is constructed of extruded, black anodized aluminum. A double flexible-chain moves in the inner and outer rails and moves the load (pallets) by friction. 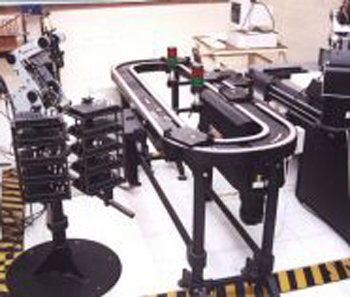 Due to the modular concept a large variety and sizes of conveyors can be created. Various PLC types (Siemens, Omron, Allen-Bradley) and field bus systems (digital I/O, PROFIBUS, ASI bus) are supported. Stop stations for various PLC types (Siemens, Omron, Allen-Bradley) and field bus systems (digital I/O, PROFIBUS, ASI bus) are supported. The OpenCIM software is a computer-integrated systems management solution that contains all the elements found in fully-automated facilities. Shop floor management controls the operation of all the elements of automated factory. Administrative software connects the shop floor management to the production facility’s Enterprise Resource Planning (ERP). The OpenCIM software contains an ERP package which breaks down customer orders to analyze bill of materials, check availability of raw materials, produce vendor’s purchase order and schedule production based on expected lead times.